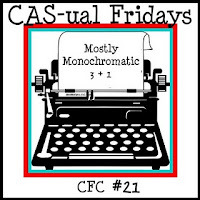 I made this for the CAS-ual Fridays Mostly Monochromatic challenge and used the sketch on the Less is More Challenge this week. Gorgeous butterfly, your shading is awesome and love the pearly accents too . This is simply beautiful Tracy! 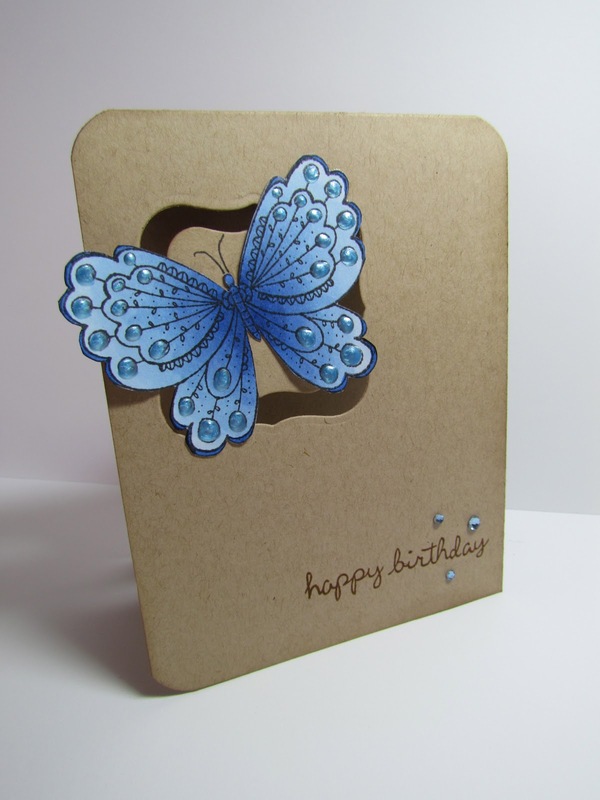 That butterfly is just delightful and teamed with the kraft card base it really pops! This is perfect. The butterfly is detailed enough to stand on its own and your coloring is gorgeous. 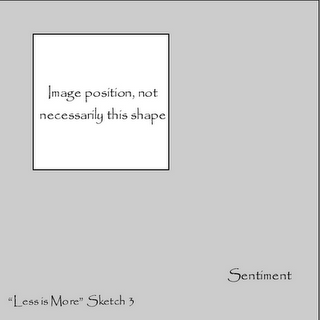 I love your creative "frame" for the butterfly and the three little gems on the sentiment are the perfect final touch. wow this card is so cool... I love how that butterfly just pop out at you... This card is eye catching... Good luck..
Hi Tracey! This is such an effective design for the challenge theme! Love the shading of the butterfly against the kraft! So glad that you join the fun with us at CAS-ual Fridays! LOVE this Tracey! That butterfly is a real beauty!!! A wonderful butterfly and your colouring is just lovely!